When it comes to ancient botanical phenomenon, the likes of the Amazon Rainforest and Galapagos Islands are quite rightly what springs to the minds of most nature enthusiasts. 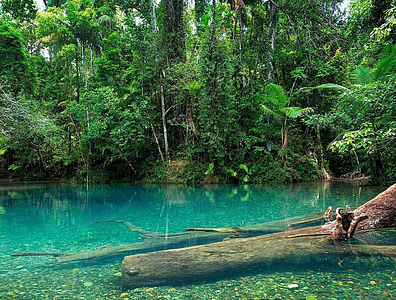 Though very few are aware of the lush prehistoric wonder that has stood proud in our own backyard for an estimated 180 million years – millions of years before its stunning South American counterparts. 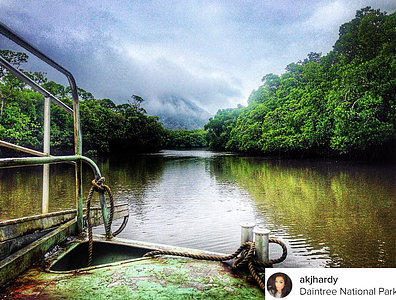 Daintree National Park in the North of Cairns is home to the earth’s most ancient, naturally surviving rainforest. And there is nowhere quite like it. Be enchanted by this most treasured marvel and delve into what is nothing short of an evolutionary kaleidoscope showcasing a spectacle of adaptation in its unique flora and fauna. 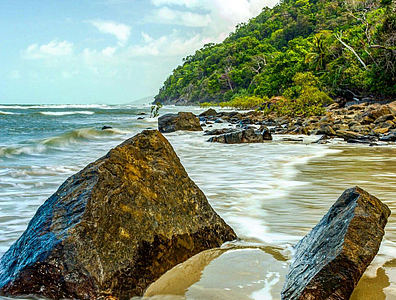 Just one hour’s drive from Trinity Beach, Daintree is the largest continuous area of tropical rainforest in Australia. 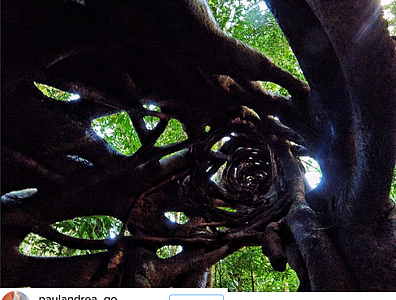 It is also a must see when hanging out in the Cairns region. The Park is comprised of two parts- the tropical Mossman Gorge and Cape Tribulation, where the rainforest meets the Coral Sea. More than 400 000 people visit the national park each year, vying for any number of adventure styles, with land, sand or water tours available. Pack your own lunch or book a lunch deal as part of a tour. 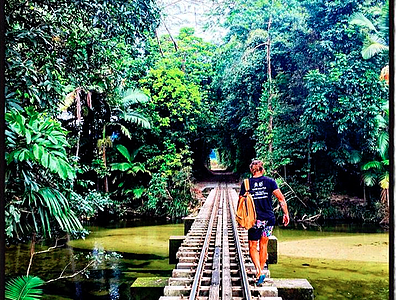 Meander through walking paths, riverside tracks and over a suspension bridge to various look-outs and waterholes. Go 4 wheel driving or cross the river on a funky tour boat to get into the thick of the action. Either way you choose to explore Daintree, you are sure to have a one of a kind experience at the national park and encounter a plethora of stunning wildlife, as the list of marsupial, frog and reptile inhabitants is as extensive as its years. From the striking purple Ulyssess butterfly to the seemingly jewel-encrusted Boyd Forest Dragon and bright AzureKingfisher the rainforest is a nature-lover's dream. It is also a horticultural haven that continuously proves to be a trove of surprises, as workers discover plants that were long thought to be extinct - such as the Idiospermum australiense, or Idiot Fruit Tree. A living, breathing archive of nature’s history and an Australian treasure, Daintree National Park is a gem that is celebrated by travellers year-round on their explorations of Cairns, and is must do trip when in the area.